RAWA: Since 2001 the opium cultivation increased over 4,400%. 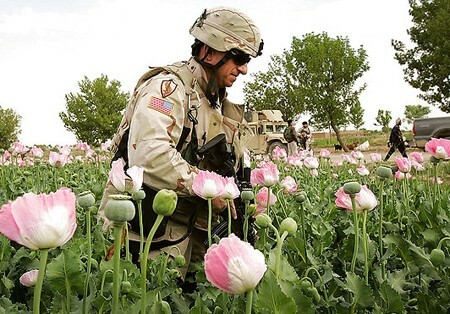 Under the US/NATO, Afghanistan became world largest opium producer, which produces 93% of world opium. When the history of U.S. involvement in Afghanistan is written, Washington's sordid involvement in the heroin trade and its alliance with drug lords and war criminals of the Afghan Communist Party will be one of the most shameful chapters. Although most drugs are smuggled abroad, there are between 1.3 million and 1.6 million drug users in Afghanistan, the UN estimates.